6-kanalig rackmonterad hörlursförstärkare som klarar hörlurar ända ner till 8 Ohm ! 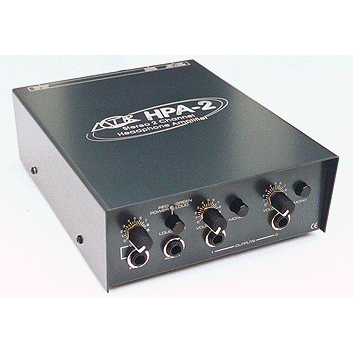 Perhaps the most high powered and reliable headphone amp available. There are two separate main stereo inputs on ¼" jacks, plus a stereo Auxiliary input feeding stations 1 and 2 (or any combination of all six by simple internal re-wiring). 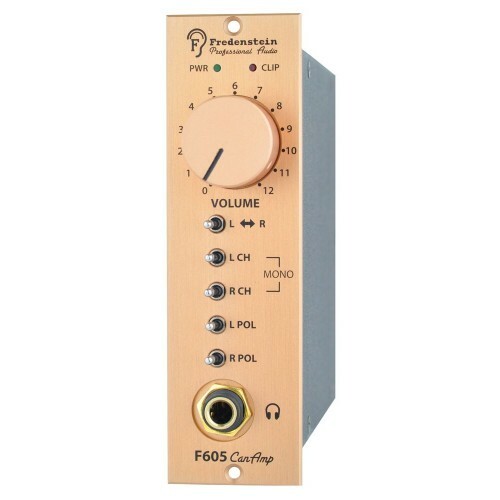 This Auxiliary signal is added to the main inputs, and can be used for click tracks, talkback from the control room for more effective communication between the engineer/producer and musicians, rehearsing to a tape/CD/minidisc, etc. A two-colour led is fitted to each of the three inputs, showing green for signal present, and red when approaching input overload. The Main Input 2 also has bass and treble boost and cut. 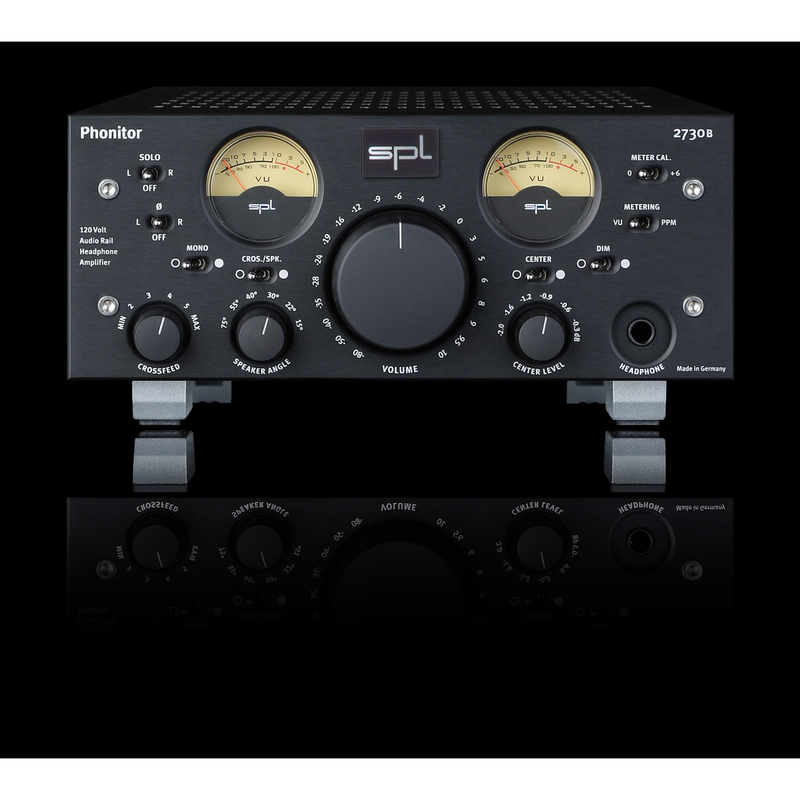 Each of the 6 headphone outputs has its own volume control, an input 1 or 2 selector button, and a mono switch sums the left and right signals. 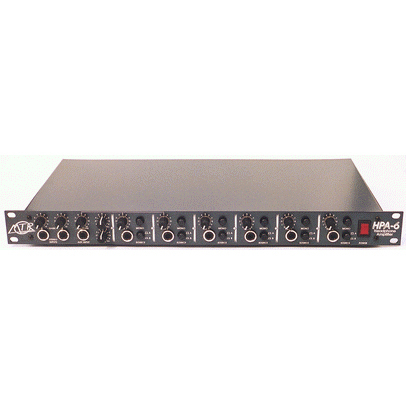 The rear panel has duplicate input sockets for easy rackmounting. Very solid all-steel construction, and volume is more than ample with headphones ranging from 8 to 2,000 ohms. High / Low e.q: 10kHz / 100Hz ± 13dB.